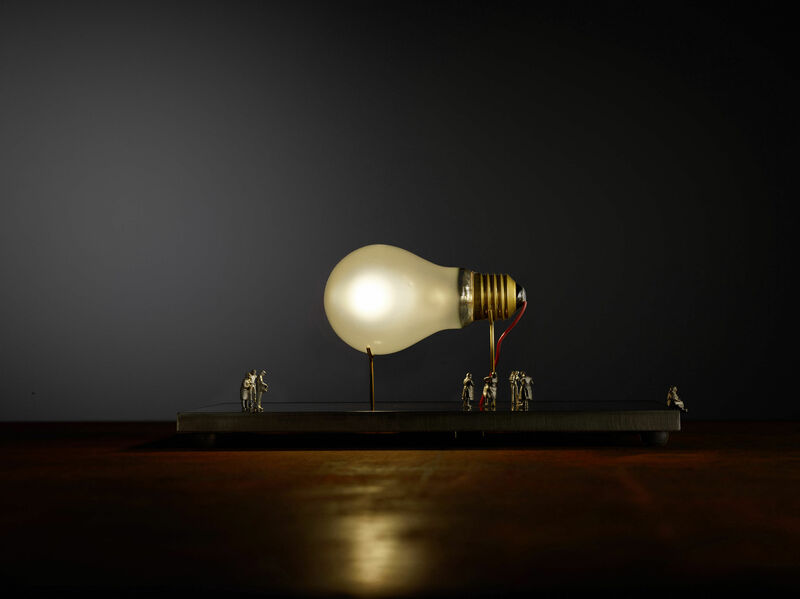 Eight tiny figures stand around a bulb. 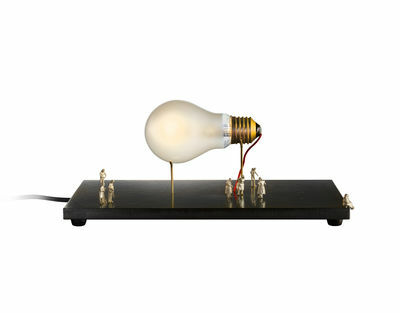 The matt bulb appears like a monument in a town square and is propped up horizontally on fine brass rods. 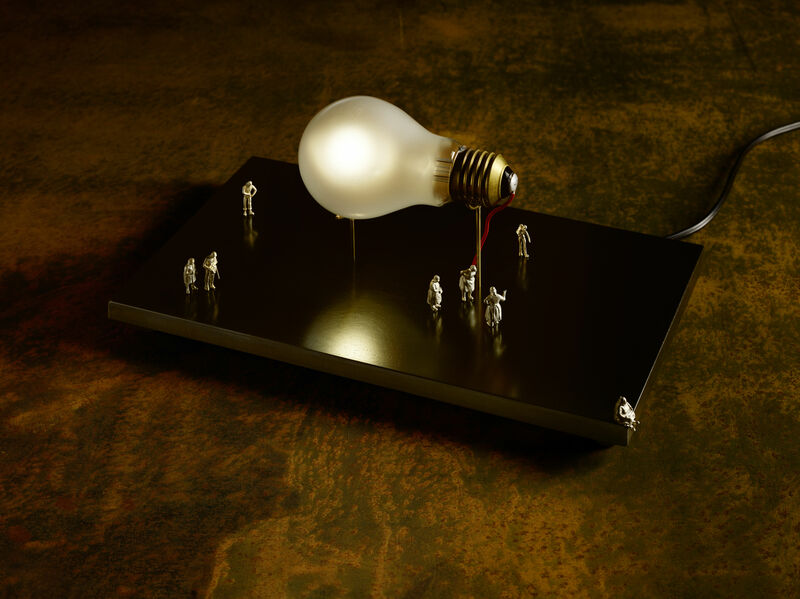 The figures are made of nickel silver and are positioned by the user. The bulbs are manufactured exclusively for Ingo Maurer GmbH and can only be used in the I Ricchi Poveri models. Supplied with one replacement bulb.